When it comes to facial cleansers, products, and toners, there seems to be a new and improved formula every week. Retail store shelves are constantly filled with different kinds of approaches that claim to help your skin in a completely new and previously undiscovered way. Facial toners in particular are subject to these claims, and one of the main reasons is that many people don’t understand the chemicals and compounds used in facial toners to get the effects that people want. So, by claiming something’s new, they companies can put out a new toner that isn’t actually that different, but may use new chemicals to give people that toner feel. Toners, unlike cleansers, are often left on the skin until they dry, which means your skin has more contact with the product than many other things we use on our faces. And since toners also help close the pores, they have a greater chance of being locked into our skin. With many kinds of toners, this can be a problem for one simple reason: the unnatural chemicals that are often part of the product’s recipe. These chemicals, while effective, could end up harming the skin when exposed for too long, and that can cause a great number of problems. But there’s good news: there is a chemical-free facial toner that doesn’t have these same risks ~ hydrosol based toner. Hydrosols are the perfect solution for a facial toner that’s free of synthetic chemicals but still contains the compounds needed for an effective toning experience. Since most hydrosols are made using steam distillation, a process that uses the power of hot water to draw out the essential oils of plants, the compounds inside are completely natural. No additives, no harsh chemicals, just the oils and compounds that people have been drawing from these plants for centuries. Plus, since hydrosols aren’t as strong as essential oils, you can use many of them right out of the bottle without worry, which means hydrosols are perfect for an effective facial toner without having to turn the whole thing into a chemistry experiment. Great facial toners need, more than anything else, is a natural astringent. This compound helps cleanse the skin and contract the pores in your face, which is an important step in cleaning your skin. Without the astringent, your pores could stay wide open, leaving them vulnerable to the dirt and dust that cause blemishes and some forms of acne. Witch hazel hydrosol goes well with other hydrosols for any facial toner, which is a powerful astringent that can also help clear away dirt and bacteria. A good facial toner should use completely natural products that are gentle enough to protect your skin, yet powerful enough to be tough on dirt and help close up your pores. Bee Happy Essentials carries four facial toner hydrosols ~ “Youthful” for mature/dry skin, “Radiance” for normal skin, “Luminosity” and “Dazzle”. Youthful is a blend of Yarrow, Rose, Roman Chamomile hydrosols, Aloe Vera jucice and vegetable glycerin. This blend is crafted for mature/dry skin and provides nurturing and hydrating hydrosols. Radiance is a toner for normal skin crafted with Aloe Vera juice, Roman Chamomile, Cucumber and Rose Hydrosols. This balanced blend provides moisturizing and soothing hydrosols. Luminosity combines witch hazel, cucumber, lemongrass, neroli and yarrow hydrosols to help balance acne-prone skin. Dazzle is for oil skin and is crafted with witch hazel, cucumber, lemongrass and neroli hydrosols. 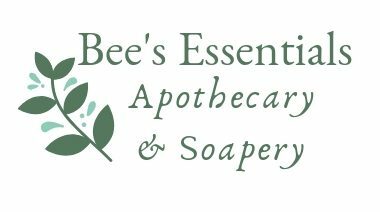 You can purchase our Facial Toner Hydrosols on the Bee Happy Essentials web shop (here), on the Facebook store or on Etsy (here). All hydrososl are preserved with Cosmocil CQ preservative. Cosmocil CQ is a paraben free preservative and formaldehyde free preservative. We observe GMP (Good Manufacturing Practice) when crafting all our products and as such, shelf life is 4 months after opening. Previous postWhat is the “oil cleansing method”? Next postGrains on my face? YES! !